For the second year running, Asia Miles have crowned a select group of eateries as “Favourite Restaurants in Hong Kong - Members’ Choice” following a two-month-long voting campaign. From 15 October until 14 December, Asia Miles members voted for their favourite places to dine out with friends and family in six categories, featuring nominees that ranged from local quick eats to white table clothed fine dining establishments. This year’s campaign took the theme of “Dine Together, Share Together”: Prizes ranged from 1,000 miles to the top prize - 120,000 miles plus an experience at Le Logis Grey Goose, the vodka brand’s manor in southwestern France. The voting began with the “Romantic Vibes” category: judging by the top three, it looks like Hongkongers know how to pull the big guns out for date night. Café Gray Deluxe and its knockout views tops the category with The Verandah and Alto. A T.Dining Best Restaurants mainstay, Café Gray Deluxe is the all-day dining venue other hotels aspire to be, with tip top service, fantastic cocktails and wine list, and a pasta saffron fiore that we dream about. If our date took us here, they’d get some serious brownie points. After Decades In The Business, What’s Next For Gordon Ramsay? The “Family-Get-Togethers” category proved that dumplings really do bring everybody together, even if the making part of it has been outsourced to Din Tai Fung. The xiaolongbao specialists comes out on top, followed by all-day restaurant Harbourside at the Intercontinental. 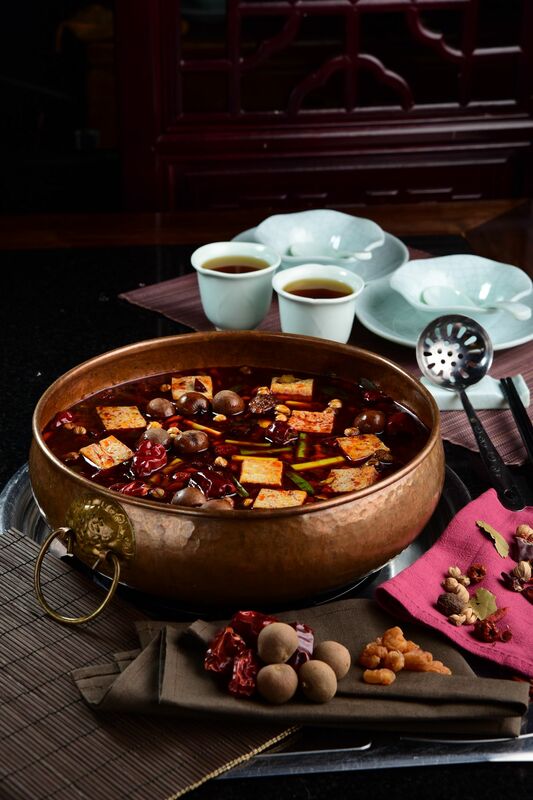 Rounding out the podium at third is Putien—a favourite for Fujian cuisine in town. For “Social Corners”, Asia Miles members reveal their love of coffee culture, voting Coffee Alley into first place. Taiwanese Hot Pot comes in at second place—seems like when members aren’t flying directly to Taiwan for their fix, they’ll get the next closest thing in Hong Kong. All-day breakfast venue Brick Lane also gets a look-in for this category, reinforcing the notion that the first meal of the day really is the best, regardless of the time. Hongkongers love nothing more than to unleash their inner gluttons on hotel buffets, and this was reflected in the “Celebratory Feasts” category. The Promenade at Harbour Grand Kowloon and JW Café scored first and second place respectively. Trailing at third place is Wa Shou Yakiniku for a beefy blowout. Asia Miles also knows that in today’s social media age, the camera eats first, and has fittingly included the “Photogenic Feast” category. Taking top honours is cocktail haven, Dear Lilly, proving Hong Kong can’t get enough of Ashley Sutton’s whimsical interiors. Following swiftly behind is Yum Cha, home of quite possibly the most Instagrammed dim sum in Hong Kong, including the infamous custard buns, in which diners keep prodding holes in strategic places. In third place is Café Deco at The One, but with panoramic views like theirs, who’s snapping food photos? Last but not least is “Choosy Foodies”, where discerning diners battle it out to name their favourite unique experience. Traditional Cantonese fare at Ah Yat Harbour View Restaurant gets the gold medal here, followed by low-key dim sum joint Tim Ho Wan. Find out more about the Asia Miles dining partners on here, and don’t forget that you can earn 1 Mile for every HK$1 spent on Mondays, and 1 Mile for every HK$2 on the rest of the week. Digest What's The Best New Restaurant Of 2018?